This tutorial builds on top of our PowerPost tutorial. 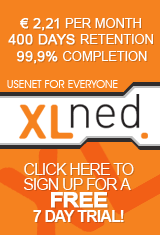 Make sure that you know how to post files to binary Usenet newsgroups before trying to optimize this process. The basic steps of this are explained in our Introduction for beginners. As you know posting files to binary Usenet newsgroups consists of a couple of steps, such as creating RAR files with WinRAR, creating PAR2 repair files with QuickPar and posting the files with PowerPost. In all these programs you have to enter certain numbers. You have to tell WinRAR how large the RAR parts should become. In QuickPar you enter the PAR2 block size at the configuration screen. And in PowerPost you have to set the number of yEnc lines per segment. So what is optimizing your posts? It is gearing these numbers to one another. The advantage of this is that you will have to create and post fewer PAR2 repair files because downloaders will have to use less PAR2 repair blocks to repair their downloaded files! The number of yEnc lines per segment that you can use is limited to what the server accepts. 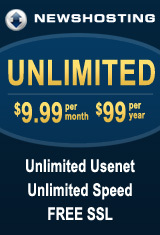 Most servers use 5000 lines as the maximum so we advise you to use that value. Never use a higher value. 3000 is also used frequently. We will use 5000 in the calculation examples at this page. The size of a segment is related to the number of yEnc lines that you use. A yEnc line consists of 128 characters. So the size of a segment is 128 * the number of yEnc lines. So for 3000 lines a segment will be 384 000 bytes. For 5000 lines the segment size will be 640 000 bytes. In the next steps we will use 5000 lines (640 000 bytes). If you use another number of lines, replace 640 000 with the size that corresponds with it. To optimize your post, the size of your RAR files should be a number of bytes that is a multiple of the segment size that you use. So if you want to have RAR files of about 10 000 000 bytes (10MB) then divide that value by the size of a segment and round it to calculate the number of segments per RAR files. 10 000 000 / 640 000 = 15.625 segments. So 16 segments per RAR file. 50 000 000 / 640 000 = 78.125 segments. So 78 segments per RAR file. Now that we know the number of segments per RAR file we can calculate the exact size of the RAR files. So 16 segments of 640 000 bytes means a RAR size of 10 240 000 bytes. 16 * 640 000 = 10 240 000 bytes. 78 segments of 640 000 bytes means a RAR size of 49 920 000 bytes. Now that we know the optimal size for our RAR files, we can create them. In WinRAR enter that value in the input field 'split to volumes (bytes)'. You can also save this number via the 'Profiles' button. How to create RAR files is explained in our WinRAR tutorial. Now we have to create PAR2 repair files. It is important that the size of a PAR2 block is exactly the same as the size of a segment. In QuickPar's options screen select 'yEnc' and enter 5000 (the number of yEnc lines that you want to use). As you can see the block size will be set to 640 000! By the way, PowerPost can create PAR2 files but you can also use the software QuickPar for this. As you can see you will probably need a calculator to optimize your postings. Fortunately this can be simplified thanks to the program 'Efficient PAR2 / RAR Calculator'. The program is very easy to use. Enter the desired RAR size and the number of yEnc lines at the top. Click on the button 'Calculate optimal settings. 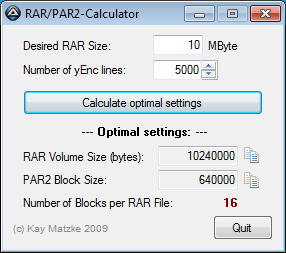 Then the optimal sizes will be shown at the bottom, the RAR Volume size in bytes and the PAR2 block size. There are handy buttons to copy the values to the clipboard. The number of blocks/segments per RAR file shows 16, indeed the number that we found earlier. If you use the methodology described on this page downloaders will need exactly one PAR2 block for each missing segment, that's optimal! So they will need less PAR2 repair blocks to repair their files, which means that you will get less requests for extra PAR2 blocks. We conclude this tutorial with an example of the disadvantages of not optimizing this process. What we have seen a lot is a block size of 1 920 000 bytes in combination with a segment size of 640 000 bytes. This means that every PAR2 block has the size of 3 segments. If one segment is missing you would still need a whole PAR2 block. If three segments are missing which are not subsequent (i.e. 2,7,15) you would need 3 blocks (so the size of 9 segments).